Some see the glass as half empty. Others see the glass as half full. 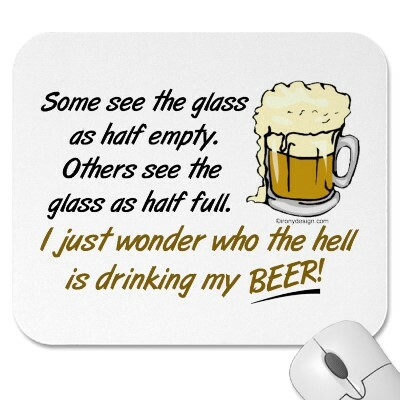 I just wonder who the hell is drinking my beer!